Laying in the very heart of the prolific Colne Valley in Denham Bucks, and nestling between the Grand Union Canal and the River Colne, is situated the legendary Savay Lake which has everything a serious carp angler could desire... and much more besides. Never has any fishery in Great Britain produced so many different 30lbs plus carp, including an incredible largest brace at 45lbs 4ozs and 39lb 12ozs, a largest brace of commons at 32lbs 4ozs and 28lbs 14ozs, and for many years one of the largest common carp ever caught in England. 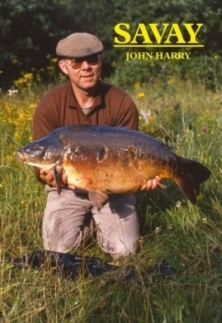 John Harry’s account of his 12 years at Savay, since the lake was first opened to the general public in 1980, and since the first syndicate was formed, make fascinating reading. His exploits are recorded with accuracy and give an instructional insight into the secrets behind his considerable success. There are over 100 photographs reproduced in colour, and together with John Harry’s own line drawings, diagrams and wildlife sketches form an exquisite kaleidoscopic view of his time at Savay Lake. In 2008 I met up with John at his home in Ruislip to interview him about the three decades he has spent at Savay. In this revised edition, the new chapter ‘Savay Now and Then’ describes not only his life on the banks of this historic venue, but his long term friendship with Peter Broxup, the new stock of Savay and its future in the hands of its present owner Tom Banks.